On November 29, the Nā Hoa O Puna Soccer Club held a blessing ceremony for the newly named, Buddy Perry Soccer Fields, at Herbert Shipman Park in Keaʻau, Puna. On November 16, the County of Hawaiʻi Council adopted the fields’ name in honor of the late Justin Masayoshi “Buddy” Perry, by way of a bill introduced by Councilman, Daniel Paleka, Jr. Perry’s soccer club, Nā Hoa O Puna, requested the Council’s action after Perry’s passing on December 13, 2015. Perry was diagnosed with ALS (amyotrophic lateral sclerosis)—more commonly known as Lou Gehrig’s disease—in 2009. In the same year, Perry founded Nā Hoa O Puna, where he served as President, Director of Coaching, and mentor for over 100 players, including their parents, coaches, administrators, and board of directors. Under Buddy’s leadership, the club established the Nā Hoa Cup and Nā Hoa O Puna Scholarship—for college-bound seniors. The bill’s adoption was supported by County of Hawaiʻi Mayor, Billy Kenoi, the park’s landowners—the W. H. Shipman ʻohana—and countless community members who testified at the legislative sessions in Hilo and in Kona; and unanimously passed by the members of Hawaiʻi Council. Videos by Big Island Video News; Photos by HSF and Na Hoa O Puna. 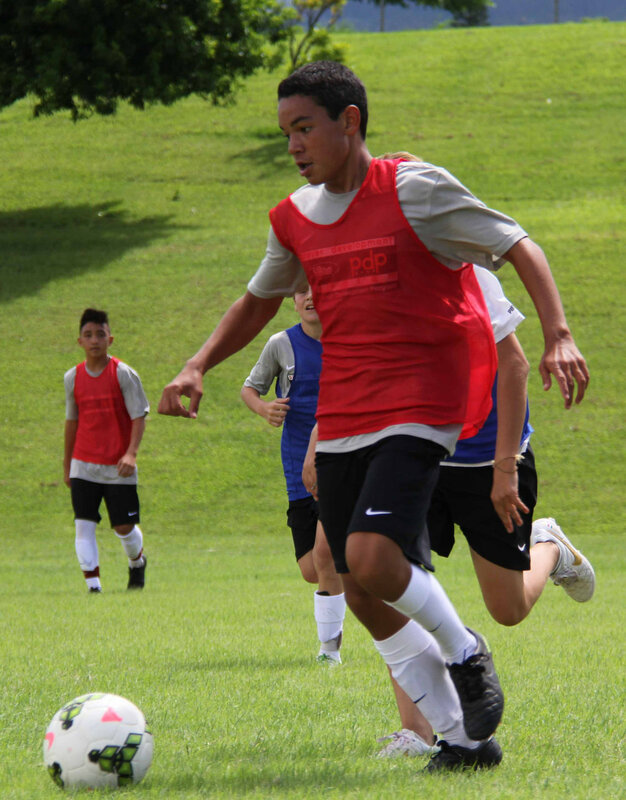 Buddy's son, Kahakuwaipolani Tolentino-Perry, competing in the innaugural US Club Soccer pdp—hosted by HSF. To donate to the Nā Hoa O Puna (Buddy Perry) Scholarship Fund, contact kaimaia.db@gmail.com. For information regarding the Hawaii Soccer Federation, contact Vernon Kapuaʻala at vern@hawaiisoccerfederation.org or (808) 442-2937; or visit the Hawaii Soccer Federation website at www.hawaiisoccerfederation.org.